New technologies are available to marketers almost everyday. Unfortunately, the law does not change at the same rapid pace as technology. Avoiding the following 10 legal landmines will help keep your mobile marketing campaign out of hot water and in the minds of consumers where it belongs. Countless case studies point to convincingly high success rates for well-executed mobile marketing campaigns. Results are measured by the size and quality of opt-in subscribers, offer redemptions and depth of customer engagement. This is all very exciting, however, lack of compliance with privacy laws and codes of conduct can invite trouble. I’d like to introduce you to Tammi Franke, an accomplished attorney and Adjunct Professor at DePaul University’s Graduate Program in Public Relations and Advertising. I met her through the Illinois Technology Association where we chair separate monthly roundtable events. Tammi’s guest article below is a tremendous resource for marketers and technologists with mobile marketing responsibility. New technologies are available to marketers almost everyday. The toolkit of today’s savvy marketer would seem like magic to the “Mad Men” of the 1960’s. Unfortunately, the law does not change at the same rapid pace as technology. This creates some uncertainty and no one wants to end up as a test case in court over a mobile campaign. Avoiding the following 10 legal landmines will help keep your mobile marketing campaign out of hot water and in the minds of consumers where it belongs. 1. Ignoring Generally Accepted Privacy Principles (GAPP). Why this is a problem: In the U.S., Privacy laws are spread across several different pieces of federal and state legislation making compliance confusing and difficult. GAPP and its framework make compliance much easier. How you can avoid this problem: Familiarize yourself with each of the GAPP principles. Make sure your mobile marketing campaign complies with the GAPP framework. Why this is a problem: The MMA Code of Conduct is the leading example of industry self-regulation and mirrors many of the GAPP principles. Ignoring the MMA Code of Conduct puts not only your campaign at risk but also puts the entire industry at risk of increased federal regulation. How you can avoid this problem: Familiarize yourself with the MMA Code of Conduct Make sure your mobile marketing campaign complies with it. Why this is a problem: Some messages to wireless devices are covered under CAN-SPAM and others, according to a recent California case, under the TCPA. For these reasons and customer service concerns, wireless carriers review and approve every broadcast mobile campaign over its network. If your campaign isn’t approved, the carriers may block it. How you can avoid this problem: Using a leading aggregator or a short code from the Common Short Code Administration website, will simplify and expedite carrier approvals. 4. Short cutting your legal review/clearance process because “it’s only a text”. Why this is a problem: FTC regulations apply to ads no matter how they are delivered. In fact, mobile campaigns are under a microscope now because of heightened privacy concerns and because additional charges apply for many consumers when they receive mobile ads. How you can avoid this problem: Treat your mobile campaigns just like any other ad or marketing campaign and use the same clearance process prior to launch. Factor in the additional requirement for approval/clearance by wireless carriers. Why this is a problem: Unfortunately, “I didn’t have enough room” is not a valid defense in a lawsuit. If your ad requires an ad disclaimer, you’re obligated to provide it. Just ask the pharmaceutical companies who received FDA warning letters for making claims in Google Adwords without the required disclaimers. How you can avoid this problem: Revise the content in the mobile ad/text message so that it does not require a disclaimer or use mobile messaging as a tool for gathering opt-ins and information and not for pushing ad content. 6. Thinking you won’t get sued if you send an ad via text to a cell phone without permission. You will. Why this is a problem: Several litigation firms who specialize in representing consumers with claims under the TCPA are now focusing on class action law suits for the receipt of unauthorized text messages. Many of these same firms previously brought class action “junk fax” suits under the TCPA. How you can avoid this problem: Develop your own opt-in list with opt-in documentation for every mobile marketing message you send. Don’t rely on third parties to do your homework. 7. Sneaking in a mobile opt-in on another registration. Why this is a problem: The TCPA requires the express consent of a consumer before a mobile marketing message is sent. The 9th Circuit Court of Appeals held in a recent case that an opt-in to receive messages from a company’s “affiliates and brands” did not constitute express written consent to receive a message from someone who purchased the opt-in list. How you can avoid this problem: Develop your own opt-in list with opt-in documentation for every mobile marketing message you send. Don’t rely on consents given to third parties. Why this is a problem: 73% of FCC complaints in the first quarter of 2009 regarding wireless services were related to unsolicited marketing calls or messages. FCC complaints are easy for consumers to file. If you don’t resolve a consumer complaint quickly, often the next step is a complaint to the FCC. This can lead to increased industry regulation or inquiries into your specific marketing practices. How you can avoid this problem: Assign a specific person or group to address consumer complaints regarding your campaign quickly. 9. Violating GAPP using Bluetooth proximity marketing. Why this is a problem: Even if a consumer isn’t charged for receiving a message via Bluetooth, pushing unsolicited content onto a mobile device via Bluetooth can seem as invasive to a consumer as receiving an unwanted text message. How you can avoid this problem: Familiarize yourself with each of the GAPP principles. Make sure your Bluetooth proximity campaign complies with the GAPP framework. 10. 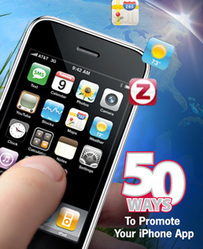 Ignoring contest and promotion rules because it is easy to conduct a contest via a mobile device. Why this is a problem: State and Federal laws and regulations regarding contests, sweepstakes and lotteries apply to no matter how the promotion is delivered. How you can avoid this problem: Treat your mobile promotions just like any other promotion. Use the same legal review and clearance process prior to launch. This article was prepared for informational purposes and is not legal advice. You should not act upon this information without seeking advice from a lawyer licensed in your own state or country. Tammi Franke is an experienced business executive and lawyer. She advises software, leasing, consulting, and other emerging and established marketing, communication and technology companies. Her specialties include licensing, business organization, corporate finance, and commercial matters. She has experience in entertainment law, software licensing, and consulting services, a wide range of debt and equity financings, including venture capital and other private placements, and commercial lending. She is formerly the Executive Director of Lawyers for the Creative Arts in Chicago and is currently an Adjunct Professor at DePaul University in the Graduate Program in Public Relations and Advertising.